Last week I posted the first of two pieces I’ve put together on Nora Webster, Colm Tóibín’s touching novel about a woman who has to find a new way to live following the death of her husband. The book is set in Enniscorthy (Tóibín’s birthplace), a small town in the south-east of Ireland in the late 1960s. My first post focused on certain aspects of Nora’s character together with some background on the story – if you haven’t already read it, please do take a look. In this second piece, I’m going to consider the setting and period – more specifically, life in a small Irish community in the late sixties. By doing so, I hope to be able to bring out some of the novel‘s humour alongside other elements. 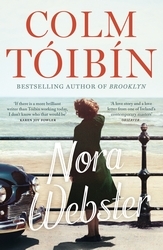 In my previous piece, I commented on Tóibín’s achievement in creating a complex, nuanced character in Nora, one I find utterly believable and full of depth. He’s equally strong when it comes to evoking a sense of place as his portrayal of a small-town Ireland rings completely true to me. Enniscorthy is a very conservative community, a place where all the residents are aware of one another and what is happening in the town. Nora’s husband, Maurice, was widely known and well respected, and when he dies, Nora has to deal with a stream of well-wishers keen to express their condolences. Naturally, these people have nothing but good intentions, but Nora, an intensely private person at heart, finds it all too difficult to cope with these conversations. I found myself wondering just how much of this is down to Nora’s character, her internal make-up, and how much might be a function of the culture in Ireland at the time. My recollection of Ireland in the 1970s – a time not long after the period featured in Nora – is a place where virtually everybody internalised their own personal pain following the death of a partner. Nobody discussed how they were feeling; nobody talked about grief or how best to cope with it. Either way, this next quote resonates with me. It reminds me of how my mother felt when we returned to her family home in Ireland in the years following my father’s death. She would long for the time when she could go out without someone reminding her of her loss. The novel is set in a culture where many women like Nora were expected to stay at home and manage the household. Once married, a woman’s main role would revolve around caring for her husband and her children. One of the threads running through the novel is Nora’s growing sense of independence in the years that follow her husband’s death. When he was alive, Maurice made all the decisions in the marriage, not just the big choices but several little ones too; for instance, when they went out for the evening, it was always Maurice who decided when they would leave. With her husband gone, Nora gradually realises that she can think for herself: she can express her own opinions on the political situation rumbling away in the background at the time; she can begin to develop her own interests, pursuits that Maurice would never have shared. At first she is concerned that others will judge her, worried about what they might think if she dyes her hair or spends money on records. After all, Enniscorthy is a conservative town whose inhabitants are often quick to form opinions. In time, though, Nora becomes more willing to live a little. Here she considers her new stereo system, a purchase she makes to complement her growing love of music. Much of Nora’s story reminds me of my mother’s own personal experience of losing her husband, the Ireland she knew, the people she met there. This is all rather melancholy, so I’d like to finish on a more positive note by commenting on some of the humour running through Nora. It would be very easy to form the impression that this novel is entirely morose. Naturally, the story is sad and very moving, but there are moments of lightness too, much of which stems from Tóibín’s observations on various members of the community. There is a wonderful passage in which Nora is persuaded, albeit somewhat reluctantly, to have her hair dyed and styled. She is mortified when the colour turns out looking less natural than she had expected. What on earth will people think of her with Maurice only six months in the grave? Naturally, Nora is worried they will think she is trying to look like a much younger woman. I could have picked one of several quotes from this section of the story – Conor’s reaction, in particular, is priceless – but instead I’ve chosen a short piece from a conversation Nora has with her Aunt Josie. Tóibín has a wonderful ear for dialogue, for the language and expressions the people of small-town Ireland use in their day-to-day lives. I think it shows in this quote. Here’s Josie as she tells Nora how she popped into Fitzgerald’s, a clothes shop in Wexford, just to kill a bit of time while waiting for her husband. This passage also seems to capture something of the spirit of Josie, a woman who reminds me so much of one of my own aunts. Nora almost had a pain in her side laughing. Josie remained serious, with just a glint in her eye. Several other bloggers have reviewed Nora Webster – posts that have caught my eye include those by Claire, FictionFan, Max and Simon. 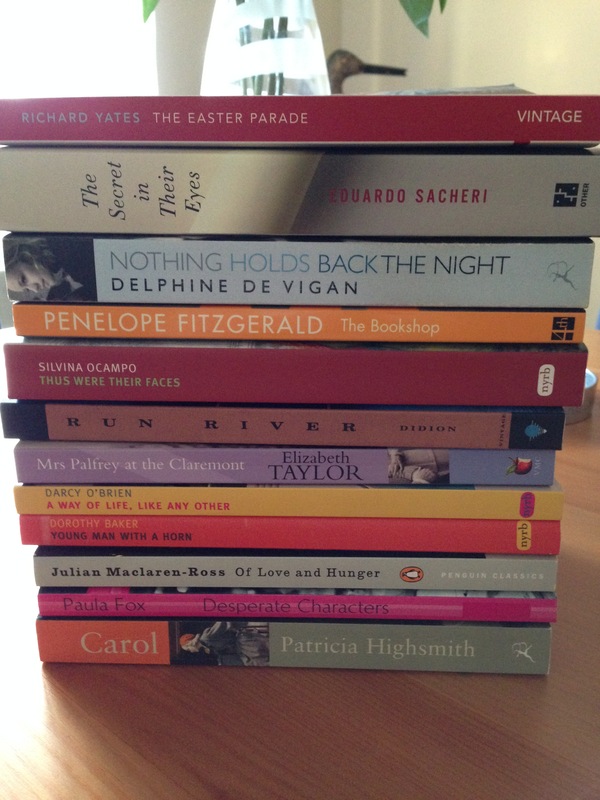 This entry was posted in Book Reviews, Tóibín Colm and tagged #TBR20, Book Review, Colm Tóibín, Fiction, Ireland, Penguin Books on October 27, 2015 by JacquiWine.